Let me start with the basics. I'm well aware of this band who hail from my old stomping ground of the south east of England, but I've never sat and listened to any of their albums. I've heard the odd song or two that have been on the radio station where I work and thought them pleasant. I've never seen them live and having watched this DVD all I can say is my bad! I enjoyed watching this so much I wish I had been there to witness the actual bloody show. Continuing with the basics, the video is superb, the audio mix is perfect and the performance of both the band as a unit and the individuals is sublime. Nine of out ten people I know would label these guys as Prog... big mistake. 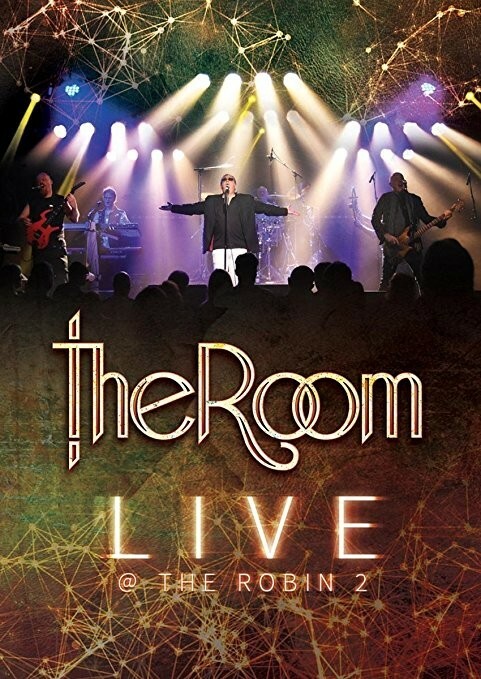 The Room are simply a Rock band who, to a degree, apply what we would call Progressive influences into their songs, hence I would lean towards Melodic when applying the genre description above. This is one of the reasons I hate labels as they often put fans off checking bands out. Music, as we know, is held together by the rhythm section. Andy Rowe (bass) and Clive York (drums) hold things neatly in place throughout, thus allowing Steve Anderson (guitar/keys) and Steve Checkley (keyboards) to embellish with freedom. The cake, of course, needs icing and that comes in the form of vocalist Martin Wilson, who I swear, if he had a tie on, would look like my bank manager. On this release, you get live performances of the album 'Beyond The Gates Of Bedlam' plus further selections, a total of seventeen songs all of which are perfectly crafted. You get the usual DVD extras which are also well worth a look. If there is one disappointment I would have to blame the audience for that. I have no idea how many people were there (hard to tell from the footage) but those that were could have made a damn sight more noise than they did! Trust me, I have been around and I have watched multi-million-pound productions on DVD (or if you remember them... videos) which are not as heart-warming as this. Normally I would pick highlights but there is no point. This DVD deserves to be watched from beginning to end and to not do so would be an injustice. Buy it and support The Room!